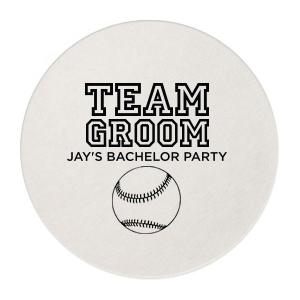 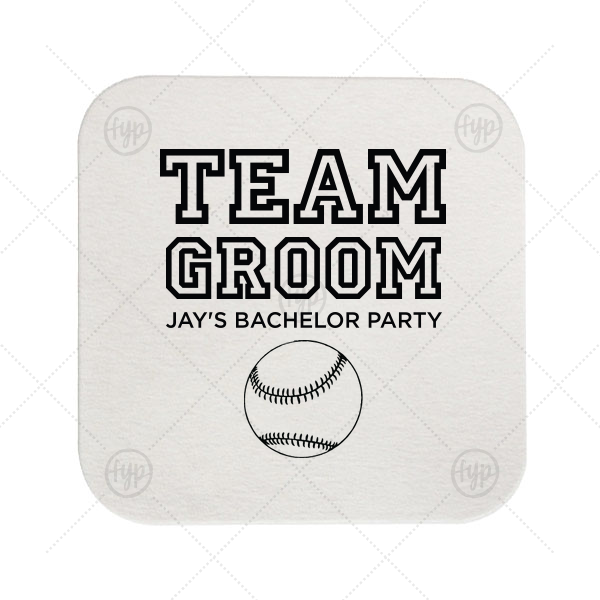 Ideal for a baseball themed bachelor party, personalize these coasters for a home run bar accent! 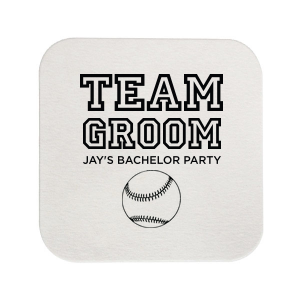 Our Baseball graphic and classic varsity sports block font will be the perfect complement to your groom's name. 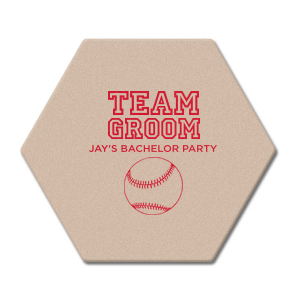 You can even send them home as personalized party favors.